I just received word that my recent submission to the Review of Biblical Literature has been published. For those who are subscribed to RBL (if you'd like to be, it's free and you can sign-up HERE), a link to it will appear in your weekly email. For those who are not subscribed or who might be interested in going ahead and reviewing it, you can click HERE. 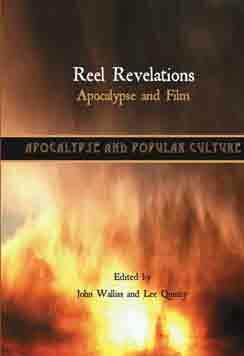 The title of the book I reviewed is Reel Revelations: Apocalypse and Film, of which you can read the back matter of the book HERE.